On a perfect Thursday afternoon, 15 yachts started the Akarana 350, a new race to the impressive line up of endurance races hosted by Royal Akarana Yacht Club. 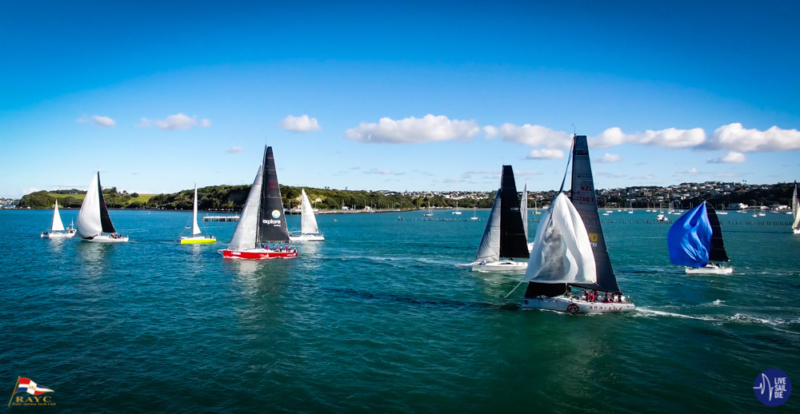 The fleet got underway in a 10-12 knot westerly which pushed them out of the harbour and into the Rangitoto Channel under spinnaker. The start was easily won by Brian Peterson on Ran Tan II who opted to run the line and bang the boat end at the start gun. Miss Scarlet and Anarchy had a little tussle on the line which resulted in the IRC52 Miss Scarlet doing circles to redeem themselves. 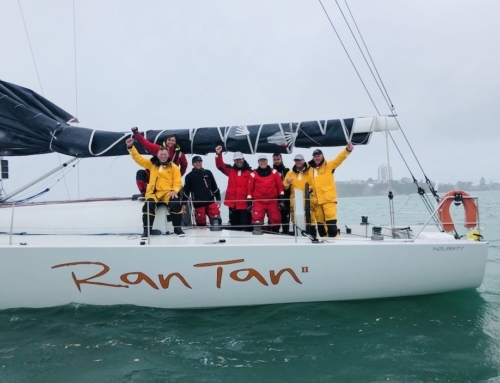 It didn’t take long for Ran Tan II to find her legs and leap ahead of the fleet forcing Miss Scarlet, who is the biggest boat in the fleet, to work hard to catch the Elliott 50. 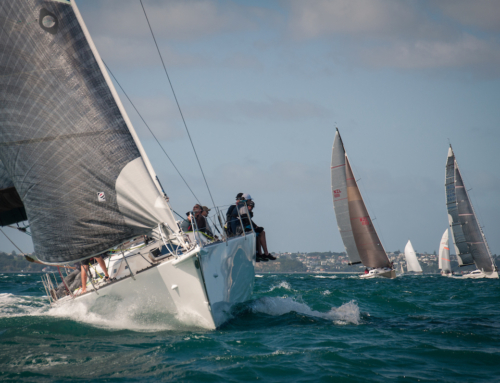 The Akarana 350 is a 350nm race that will take a fleet from Orakei, leaving Rangitoto Island to starboard, Channel Is. to starboard, Karewa Is Group to port, Poor Knights Group to port, Sail Rock to port, Finishing at Orakei. 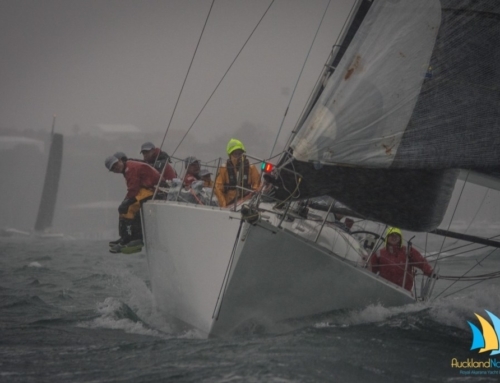 Brian Kent, navigator on board Ran Tan II said that he expected to see his team cross the finish line back at Orakei within 48 hours to six days. “Don’t hold me to that though, I certainly hope it doesn’t take six days, however the forecast we were presented on Tuesday evening at the briefing had it looking that way. I’ve looked again today, and I’d like to think we would be finished within 48 hours,” said Kent. Nigel Garland, owner and skipper of the Sunfast 3600 Katana was looking forward to getting on the water. “It’s been a rather tough week for me, so I just can’t wait to get on the boat with my crewmate Cory and have a good race,” said Garland. Motorboat II, with Damon Jollffie and Josh Tucker on board, were putting their new boat together just hours before the start. “We are confident that we’re ready to go, but it’s all been a bit hectic leading into this race for us,” said Jollffie. Boats will be sending in photo and video updates and these will be posted to the Royal Akarana Yacht Club Facebook page as received.